Canada is perhaps not the first country that springs to mind when you think of culinary excellence, but it should be. On a recent trip to Ontario, I gorged on some of the best food I’ve had in a long time, made with fresh, local ingredients and a whole lot of love. And best of all, despite my fears, the portions were not as ridiculously large as in the USA, much to mine and my waistline’s relief. 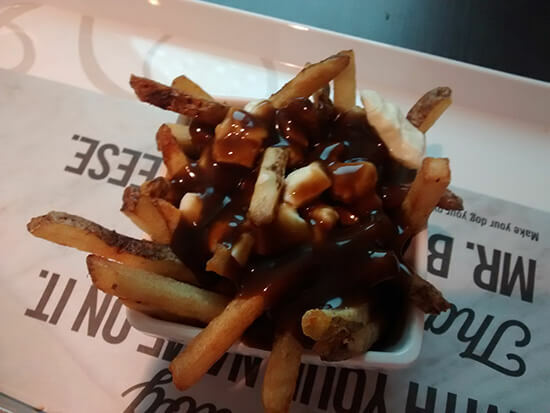 A mixture of potato fries, cheese curds and gravy, poutine originated in Quebec but can be found all over Canada, from roadside diners to shopping malls and pubs. You can even get it at McDonalds. This was the one dish that everyone told me I had to try, a real comfort food, warm, filling and high in calories. I tucked in to a bowl of it just a couple of hours before boarding my flight home and, although I enjoyed it, I couldn’t help feeling that if it hadn’t been built up to be more than what is essentially chips, cheese and gravy, I might have been more struck by it. I had thought that s’mores were a purely American fad, but it turns out Canadians love them too. 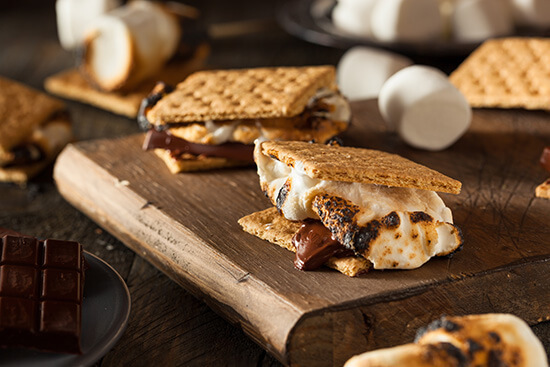 Easy to toast over the campfire while on an overnight forest adventure, they’re the perfect treat for intrepid outdoorsy types relaxing after a long day’s hiking or canoeing. Made up of a melted marshmallow and a square of chocolate sandwiched between two graham crackers, this sticky, gooey snack is named after what you’ll most likely say when you eat it – “some more” please. 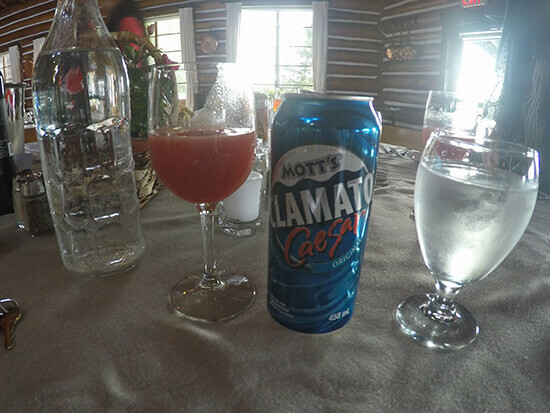 Probably the weirdest concoction I came across in Canada, clamato’s name comes from an amalgamation of its two ingredients, clam and tomato. I tried it in its cocktail form, mixed with vodka and Worcestershire sauce and known as a Caesar. My first instinct was that it tasted of cold, alcoholic soup, not unlike a Bloody Mary. But after a few more sips, it really grew on me as a refreshing and very savoury beverage, although that might have been the vodka talking. Made from the boiled down sap of a maple tree, maple syrup is quintessentially Canadian. For a country with a maple leaf on their flag, maple trees in abundance and maple syrup being just so tasty, it’s no wonder. Often served with fluffy pancakes, waffles or French toast, this sticky, sweet treat was something I indulged in frequently. My favourite way to eat it? For breakfast, poured over bacon and blueberry buttermilk pancakes. Yum! Talking of which, Canadians love breakfast. Or perhaps Canadian hotels love breakfast, but either way I’m not complaining. Take your pick from eggs over easy or sunny side up and combine them with maple bacon, hash browns, muffins, waffles or pancakes and serve with maple syrup. Much to my caffeine-obsessed delight, this was accompanied by bottomless coffee often served with cream, as well as croissants and cereals. 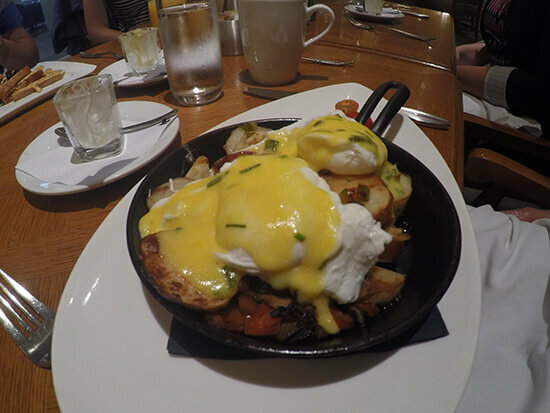 Check out the poached eggs with fried potatoes, peppers and hollandaise in the picture above – a veritable feast. And I was impressed at the healthier options too, with granola, yoghurt and forest fruits often on offer. With around 250,000 lakes, Ontario is a popular angling destination. It comes as no surprise then that the local fish feature prominently on the state’s restaurant menus. And very good they are too. I ordered baked pickerel with roasted leeks, and it was delicious. A light, white fish, it was just delicate enough to compliment the vegetables and didn’t overpower the dish with fishy flavours. 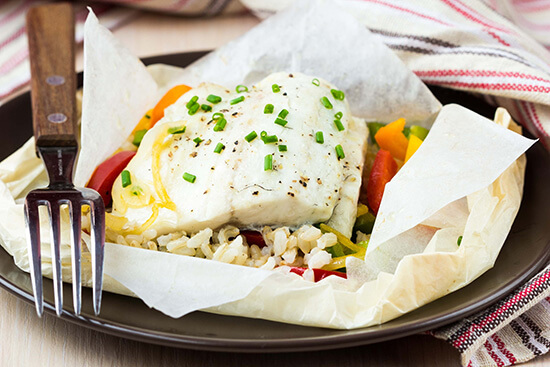 Alternative fish to try include white fish, lake trout, pike or smelt. 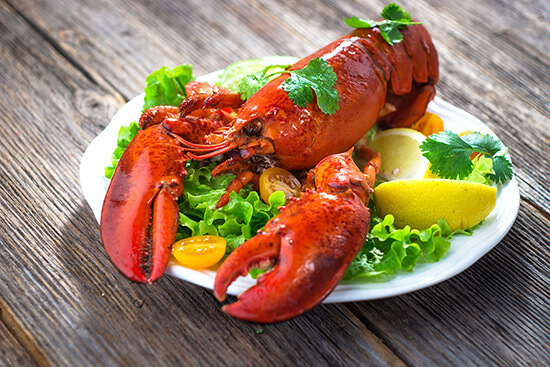 Lobsters in Canada are usually from the Atlantic coast around Nova Scotia, Prince Edward Island and New Brunswick, caught in lobster traps and shipped all over the country. On my Ontario trip, lobster cropped up on a few menus, with choices ranging from lobster roll or boiled lobster with butter to grilled lobster tails or lobster chowder. As a lifelong lobster fan and with a lack of opportunity (and cash flow) to try it at home, I gave it a go. Fresh, sweet, juicy and buttery, it was of course delicious. I love salmon, especially smoked salmon. At home, it’s hard to get hold of the good stuff without paying through the nose for the organic Scottish variety, so I was very excited to try a real wild salmon in Canada. 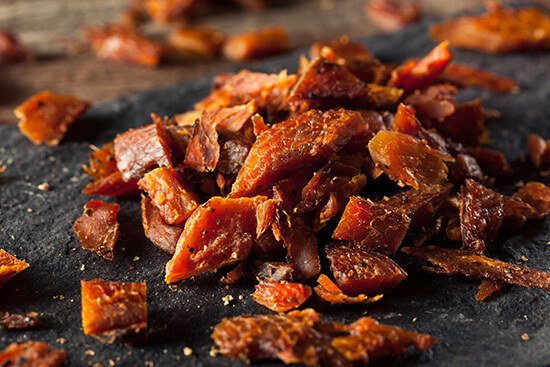 Salmon here is found on the west coast, where it’s often dried and made into salmon jerky. There are various varieties including sockeye, pink and king salmon. I tried it baked, flaked, smoked and maple-glazed, all soft, rich and flavoursome. Onto the desserts now and butter tarts: a small flaky pastry case with a gooey egg-based filling made with butter, sugar and syrup, a little bit like a custard tart but runnier. Flavoured toppings are often added, such as nuts, or raisins. 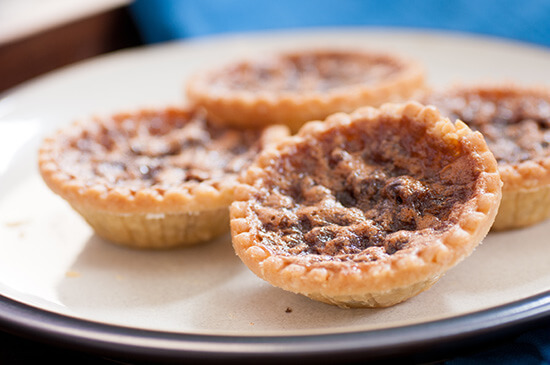 These are so loved in Canada that there’s even a Butter Tart Festival at the Muskoka Lakes in Ontario, and a Butter Tart Trail too. Not one for sickly sweet foods, I tried a small bite one lunchtime, and found it to be pretty sugary, with wonderfully flaky pastry, tasty in small doses. 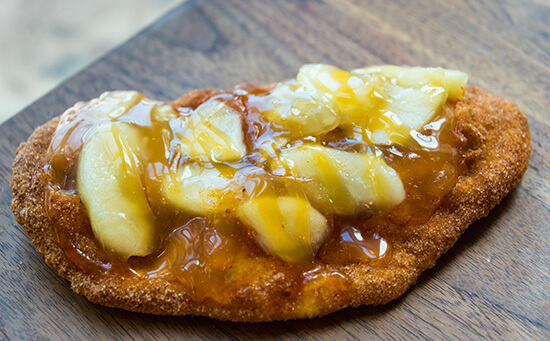 Another pastry, this time made of fried whole wheat dough shaped like a beaver’s tail, served hot and finished with an endless array of toppings. Choose from whipped cream, chocolate, Oreos, cinnamon, maple butter and bananas to name a just a few. Sold across the country by BeaverTails, a speciality fast food chain, these are known to be a favourite of Barack Obama, who pulled over to buy one in person on his way to the airport when on an official visit to Ottawa. This led to the creation of the Obama Tail, which is topped with cinnamon and sugar, an ‘O’ made from whipped cream, and finished with chocolate and maple syrup.